Rapoon and Pas Musique have teamed up again for their third collaborative release titled “Composited Reality”. 6 new tracks composite and mix the two field recording worlds of Robert L. Pepper and Robin Storey. Field recordings originate from Brooklyn, New York, USA, Indonesia, and New Castle, England which are mixed together with light backing tracks of various instruments. 16 bit WAV file, MP3ʼs and special .jpeg art are packaged in a gigabit drive which is encased in a white, cassette style body, with a 16 page art booklet, wrapped individually in a silken screen calico canvas. 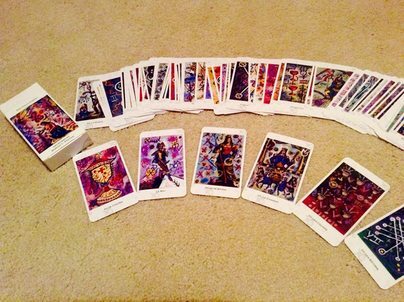 The Naga Tarot deck was influenced by Robert's mother Patricia's 1JJ Swiss Deck from 1970 originally made in 1970. In returning to painting Robert wanted to make a homage to his mother and he loved the tarot imagery. The Naga Tarot takes its name from his late pug dog Naga who passed away in July 2015. 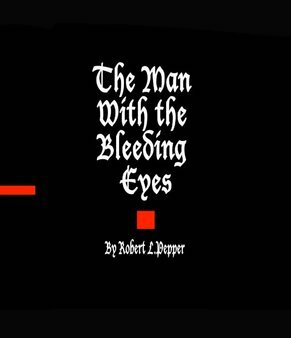 ​​'The Man With the Bleeding Eyes', although completed in 1998, is Robert L. Pepper's first full length fictional publication inspired by many years of horror reading and sound absorption. He has toured musically in 14 countries and has had visual art exhibitions in 5.